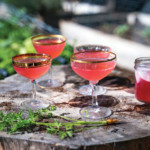 We gathered some of our favorite Valentine’s Day desserts and cocktails to make for (or with!) your loved ones this February 14th. 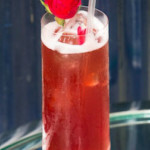 Take a look at our most sophisticated drinks and indulgent treats. And yes, there’s chocolate. 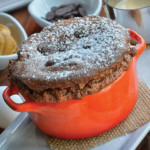 This Valentine’s Day-ready chocolate banana soufflé dessert is sure to impress and indulge with a peanut butter cream twist. Uptown San Diego’s beloved French bistro, Et Voilà!, took a classic French dish to new heights, but with ingredients both familiar and richly decadent. Make a date in the kitchen with your beloved and bake this flourless treat together. The former OB Warehouse, notorious for their whoopie pies, closed their doors on Valentine’s Day in 2017. 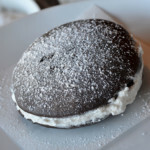 So what better way to toast their memory this Valentine’s Day than making your own version of this delicious dessert inspired by their whoopie pie menu staple? We’re not going to make “making whoopie” jokes here, but here’s a recipe! 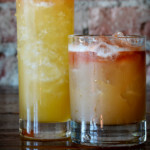 The rum-based allspice dram that brightens The Rye Knot suggests multiple uses besides in this cocktail, such as in a chic bread pudding. 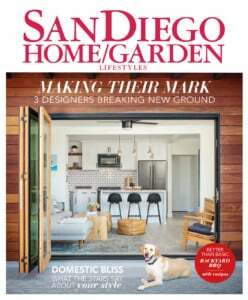 The late – and much-adored – drink auteur Cervantes Magaña created this pair of sophisticated recipes for Masters Kitchen and Cocktail, the hip rendezvous on the edge of downtown Oceanside. Do James Bond one better by shaking and stirring at your next soirée. 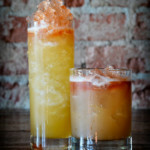 The late – and much-adored – drink auteur Cervantes Magaña created this pair of sophisticated recipes for Masters Kitchen and Cocktail, the hip rendezvous on the edge of downtown Oceanside. The Surfer in Panama’s liqueurs may not reside in your bar cabinet at present; but given the suave finish they lend, you’ll be glad to have them in stock. 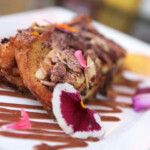 This chocolate croissant bread pudding, inspired by the greats at San Diego’s St. Germaine’s Bistro & Cafe takes the decadence and nostalgia of bread pudding up a few notches. Start with plain croissants and pair with cinnamon-rich Mexican chocolate. Is there anything more romantic than a Parisian cafe and the wafting scents of fresh-baked flaky croissants? Maybe not, but turning those croissants into this delicious and simple dessert is a worthy and unique alternative. 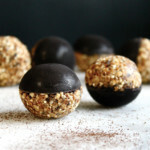 A no-bake dark chocolate almond ball treat just in time for Valentine’s Day – that’s also perfect for anniversaries, brunches, cocktail parties, on-the-go and more. We first learned about this simple and natural dark chocolate recipe in Sylvie Coulange’s elegant beach picnic, where she gathered a bunch of her girl friends and celebrated friendship, food and a beautiful space. We’re not exactly suggesting you should ditch your significant other on Valentine’s Day to feed your girl friends, but… we wouldn’t judge you if you did. Marston’s Tea Room, designed by Sam Hamill, opened in 1955 against a backdrop of antique Japanese screens. 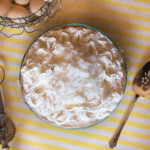 Famous for its Fresh Coconut Cream Pie, the recipe was reprinted in a small cookbook for the tearoom’s fifth anniversary. We reprint the recipe here.